This week in Chinese we had a lot of fun with our Chinese culture lessons of the Dragon Boat Festival. Reception children learnt a Chinese rhyme of Dragon Boat Festival. Year 2 children have been telling a story of Qu Yuan, one of the greatest poets of ancient China. The children also made a paper model of dragon boat. 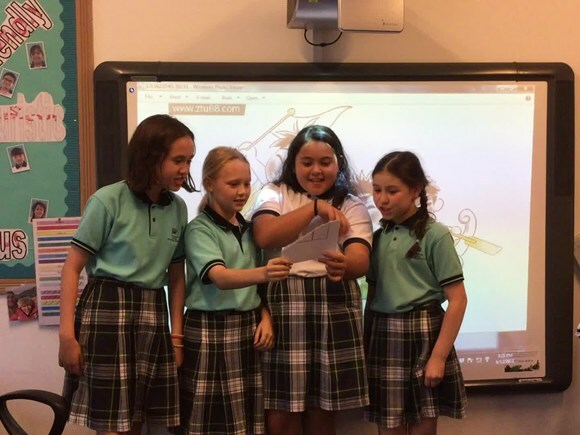 Year 4 children celebrated the upcoming Dragon Boat Festival by trying to fill in the lyrics of an English song named 'Row, Row, Row Your Boat'. All of the children did an amazing job creating the songs in Chinese. Children in Year 5 and 6 did a quiz of Dragon Boat Festival and learnt more about this traditional Chinese holiday. The Children enjoyed their lessons and continuously made progress in their learning.